He is such a wonderful performer. There’s something so effortless about everything he does, even though it’s clear he’s got so much virtuosity. 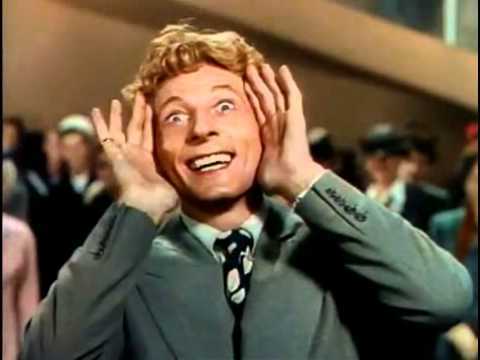 Below is a great video of Danny Kaye and Satchmo playing and singing “When The Saints Come Marching In.” An example of two great performers who when together are better than the sum of their parts. 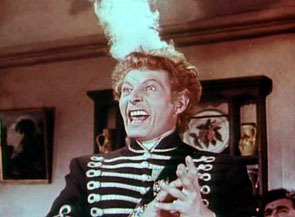 I love watching Danny Kaye work– it’s a lot like watching Robin Williams. He simply sparkles effortlessly. And that led me to find this 1981 concert with the NY Philharmonic with Danny Kaye as the conductor. Once again, he shines. There’s a wonderful biography of Danny called Nobody’s Fool which goes through a lot of his trials and tribulations. Highly recommend it. Click to buy this on Amazon. Currently available used for 1 penny. Can’t beat that with a stick! As I mentioned above Nobody’s Fool is a great read.